The summer is finally here! With temperatures up into the twenties this week many of us are now beginning to think about the summer season of sailing events. The UK’s main sailing event this year (apart from the Olympics of course) is Cowes week – The 11th to 18th of August. Cork week – 7th to 13th July. 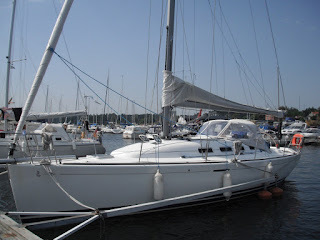 Kiel (Kieler Woche) – 16th to 24th June. Brest international maritime festival of the sea – 13th – 19th June. Like all summers we will once again be helping to relocate a variety of both racing and classic yachts to some of these wonderful events. Our Skippers have a wealth of experience and are very used to managing high performance vessels. When on delivery we are well aware that the boats require care and attention. We deliver with caution and respect, leaving you to do the racing!